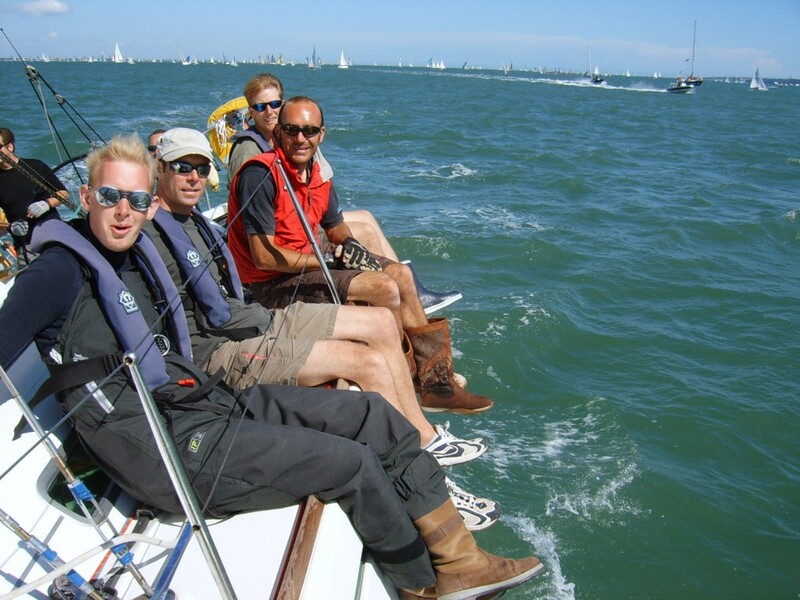 Book a skippered yacht charter for spectating at the 2019 Cowes Week Regatta. Charter your own 7 person yacht with Skipper for as little as £975 ( mid week days offer – available with own catering ) for a spectator event during this years fantastic yacht racing. Get in among the action! 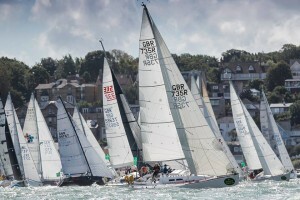 Everyone should experience Cowes Week Regatta at some point in their life! It really is the pinnacle of the yacht sailing calendar. More than 1000 yachts, 8,000 competitors and 100,000 spectators a day flock to take part in Cowes Week in the first week of August. This year, on the weekend of the 10/11th August, after the days normal racing it will be the first SailGP – F50 hydro-foiling catamarans turn to race around a special course off Cowes. These brand new machines are capable of over 50knots! It will be an incredible sight! You have the opportunity to view this spectacle from one of our yachts!  See this special event here. Every year, this international regatta firmly places itself as one of the premier sailing, corporate hospitality and social events of the summer. 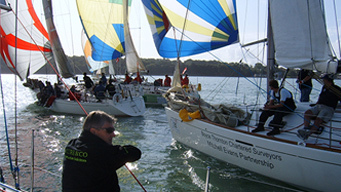 Join us for a skippered yacht spectator event or some yacht racing combined with shore-side social partying! 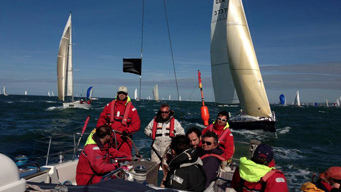 Treat your clients or sales team to a relaxed Cowes Week spectator (non-racing) hospitality package, for a max of 7, that takes in sailing among the racing fleets right in the action. You start with your safety briefing before setting sail at about 9am and get a feeling for the boat. We can be in the thick of the action in just minutes from the berth. Here we sail among the various race classes ⁄ fleets to see the yacht racing close–up. 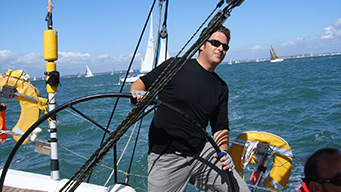 You get involved with as much or as little of the sailing as you wish with hands on experience. Meet at 0830 for your yacht race boat briefing, in time to plan the strategy and a have a quick practise before the race start at approximately 1100. 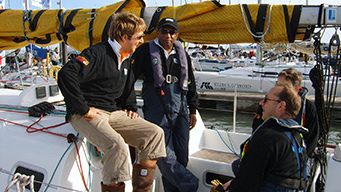 Your Skipper and First Mate will show you the ropes and guide you through the race day. You will eat a racing lunch on the go. It really is a thrilling experience with adrenaline pumping action and close quarters yacht scenarios. 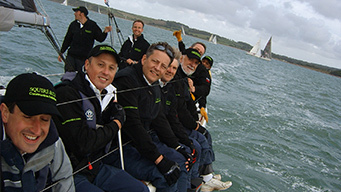 After the racing, chill out and experience the shore-side hospitality and ambiance that makes Cowes Week what it is. Meeting and return points can be Hamble or Cowes. We can take care of all your requirements and ensure that your race event runs as smoothly as possible. 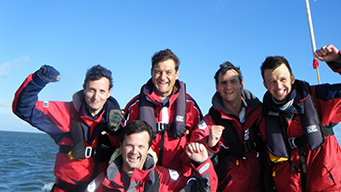 We offer full corporate branding packages for the yacht and the crew as required.